I had the privilege of attending the launch party for hülya n. yilmaz’s book this and that and listen to her read some of her poems aloud. Poetry should be read aloud, and her smooth and strong voice captured the room full of friends and supporters (and maybe a few strangers who saw there was free food and wine!). This is a lovely book of very personal and intimate poems, poems about family, about her travels, about love and faith and some of the burdens of history. yilmaz is originally from Turkey but has made her home in State College, PA, for many years now. Recently retired from Penn State University, this is her third book of poetry. this and that is mostly in English, but some of the poems are translated on the same page into both German and Turkish. Some of the most painful and personal works talk about family. Some of them deal with a father losing his memory to dementia, with a mother’s early absence from her life, with separation from family and living abroad away from them. Some of these are so raw that they brought tears to my eyes. yilmaz is a fun writer, with poems about her friends the bunnies and birds that visit her backyard. She raises the question whether it is indeed “her” backyard, since the animals have been there long before humans dropped houses into the middle of “their” forest. Her poems dance and sing, traveling from her US home to various cities around the world where she has visited or lived. Although the book has mature themes, individual poems would be excellent choices for middle and high school students. The poems that are written in three languages would be particularly valuable to high school German students (and if there are students taking Turkish), since they could see how translation differs from simply converting words from one language to another, ala Google Translate. The fact that this is done by an expert who is also the author gives this added levels of authority and authenticity. this and that is a poignant and sometimes emotionally raw work, but also fun and beautiful with joy and humor relieving the tension between the more personal poems. 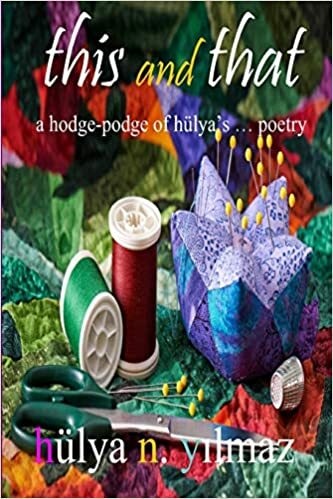 I can definitely recommend hülya’s poems to anyone who appreciates honesty and passion, qualities made all the more powerful by the scholarship and intellect of their author. 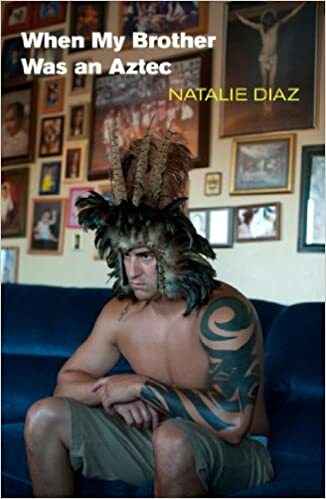 So opens the brutally personal and painful collection of poems by Natalie Diaz. When My Brother Was an Aztec is brilliant. I have a solid vocabulary, but Diaz’s dancing from English to Spanish to other languages, her use of English (I had to look up “oubliette,” among other words), her references to stories and myths and religions and historical events sometimes left me gasping for air and reaching for Google. It was challenging intellectually, which is always something I welcome. More than that, it was challenging emotionally. Diaz’s brother has a meth addiction. And many of the poems in this collection deal very frankly with the emotions she feels when dealing with him. Her description of him as an Aztec talks about him draining her parents’ blood, about them offering themselves to him day after day. Somehow they are physically restored, then the addiction in her brother’s body requires that her parents sacrifice themselves again and again. She dreams of his death. She tries to take her brother out for dinner, knowing that there is a beginning, middle, and end to dinner and she will not be trapped. He takes all of the lightbulbs in her parents’ house to use as homemade meth bowls, forcing them to live in the dark. She compares her father to Sisyphus, driving to the jail at 2 a.m. knowing that it won’t matter, that he will push his heart to the jail again and again and again and again. This is not to say that she hates her brother. Or rather, that hate is the only emotion. She loves him. She hates him. She is disgusted by him. She pities him. She wants him to get better. She wants him to die. She wants him to live. I cannot imagine the grief and despair and anger and longing that one might feel when faced with a loved one who is in these circumstances. Thanks to the power of Natalie Diaz’s poetry, though, I may have had a glimpse. 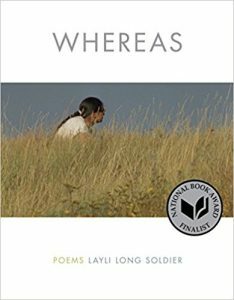 Mixed in with the poems about her family’s struggles are poems about lust and longing, about being Native American in a hostile world, and about her family at different (if not better) times. Even if those poems are not any easier to read emotionally or intellectually, they are a welcome respite from the despair engendered by her brother’s choices and addictions. I am not trying to condemn or excuse her brother. Addiction is a disease, and for far too many it becomes incurable. But with any disease there are choices that people make. My sister has cancer. She chose to treat it. She will be on chemotherapy the rest of her (hopefully long) life. I have mental illness. Sometimes I get treatment. However, sometimes I convince myself that I am fine and don’t need any medicine (ironically enough, I usually make that decision when I am on the medicine, which is of course why I am “fine”). Those times inevitably result in pain and suffering for my loved ones, let alone the confusion and disorder they create in my own mind and circumstances. Diaz’s poetry helps me see things from the other side, the side where the sick person is loved and desired and wanted–and yet that same person has created through their choices and refusals a climate of pain and hurt for those who love them the most. I may have more in common with her brother than I want to admit. Natalie Diaz grew up on the Mojave Reservation in Needles, CA. She played professional basketball overseas for many years before getting her MFA from Old Dominion in 2007. When My Brother Was an Aztec was her first book, published in 2012. I first heard her speak at the National Book Festival in Washington, DC in 2018. She is an amazing person and an amazing poet, and someone I hope we hear much more from in the years to come. The subtitle of this book is telling: “How Poetry Can Teach Us about the Things in Life which Really Matter.” Joe Nutt’s book The Point of Poetry is not necessarily meant to be a textbook, but if it were, it is the textbook we all wish we had back when poetry was being taught–or so often assaulted or inflicted–back in high school or college. 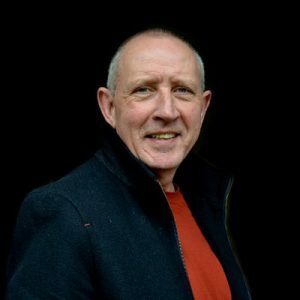 Joe Nutt has taught poetry, and I hope he makes a second career teaching teachers how to teach poetry. He is not afraid to poke fun at poets and poetry. He says about William Blake’s “The Tyger,” “To a child just about coping with the difference between advice and advise or even have and of, spelling Tyger with a ‘y’ is just confirmation that any poet’s main mission is to sow confusion and doubt.” I wish more of my poetry classes, books, and teachers had expressed that kind of self awareness. Poetry should always be taken seriously–seriously enough that we should be able to laugh at it and with it. Nutt does just that. He can laugh at the thought of “tyger” being spelled with a “y,” and in the same chapter express the wonder captured by the author of the poem. Nutt may not share Blake’s faith or mysticism, but he does share Blake’s awe of the power of the large striped cat and his wonder at the forces–natural or divine–that brought both that creature and its prey into being. No matter how one spells the beastie’s name. 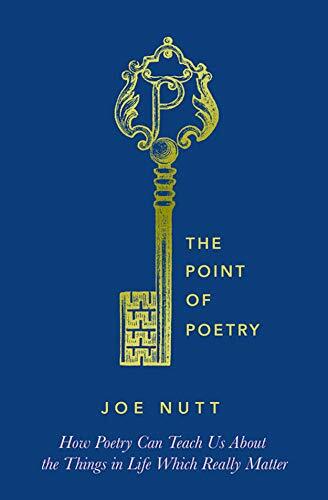 Ultimately it is that power behind the poems that Nutt loves, and he shares his love for this power in chapter after chapter of analysis of famous and not-so-famous poems. Nutt never takes himself too seriously. He never takes poets too seriously either. If “the Bard” cannot survive a few well-aimed barbs, he is not who we think he is. But Nutt takes poetry very seriously. The power of the words is in the power of the ideas they express: love, eternity, faith, endurance, the very ordinariness of life. 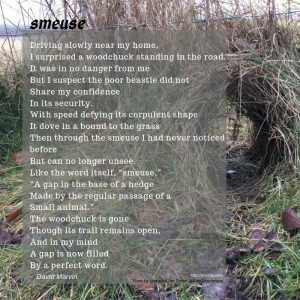 When a poem succeeds in taking these grand themes of life and compressing them into a few words that encapsulate those ideas, it is a magical and sensual thing worth celebrating and sharing. The book does what it seeks to do very well. It is fair to point out what it does not do. It is not intended to introduce a lot of modern or new poets. Most (not all) of the writers are fairly described as dead white English guys. There are a few dead white English gals as well. Rita Dove is a notable exception, and there are others, but it is predominately English poets, and a lot of the familiar names from the canon. No book can do everything, but I would love to see a follow-up book that addresses newer poetry from poets who are more representative of other races and cultures. 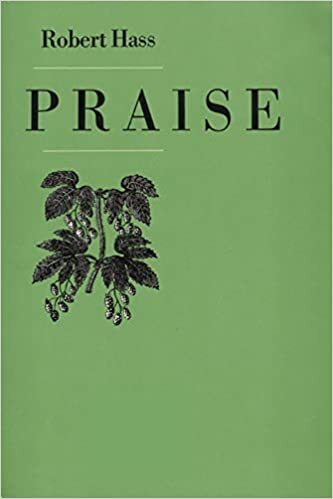 If you are looking for a book that addresses the subject of poetry and provides insight into the poems featured, though, this book does that extraordinarily well. April in America is National Poetry Month, and I cannot think of a better way to introduce that month than with this book. If you don’t “get” the point of poetry, read this book. If you do get the point of poetry, you will also thoroughly enjoy this book. The format of the book lends itself to taking it a chapter at a time. If you wanted to skip around to see what he says about a favorite (or least favorite) poem, this is a good book for that. Reading the entire book will likely introduce you to poems and poets you’ve never known before, but even if they are all familiar Nutt’s insights will help you read them with fresh eyes. I would recommend this book to anyone who loves poetry–and to anyone who hates poetry! Read a couple of chapters at random, and I dare anyone who has not seen the beauty of poetry before to tell me they still hate it. I am sure some still would, but anyone with a brain and a heart will see the power and beauty and humor that Nutt finds in The Point of Poetry. 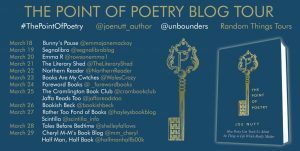 I do want to thank Joe Nutt, his publisher, and Anne Cater for an advanced copy of The Point of Poetry. I am privileged to be part of the blog tour for the launch of the book, and the only request I was given for receiving the ARC was an honest review. Since I honestly loved the book, this was a treat and a pleasure for me. Check out our fellow bloggers on this tour. Miranda is probably still best known for his musical Hamilton, but he is also starring in Mary Poppins Returns, wrote music and lyrics (and sang) for Disney’s Moana, and wrote and starred in the Tony winning musical In the Heights. He has won multiple Tonys, a Pulitzer Prize, Grammys, an Emmy, and has been nominated for an Oscar, among the many other prizes he has been nominated for or won. He also received a MacArthur “Genius” Award. This work probably will not get him his second Pulitzer, but it is pithy, heartfelt, and poignant. Are the greetings I wish for myself. Or if I write, “cheer up,” then I’m blue. Then switching the pronoun to you. This book is not meant to be a deep exploration of the human condition. It is meant to connect. And this is a good thing. We cannot always understand. We don’t always need to understand. Sometimes what we need to do is remember that we are not alone, that we are surrounded by people who have the same needs and feelings and desires and dreams and fears and disappointments that we do. Sometimes we just need to know that we are loved, that we are wanted, and that the world is survivable together. That’s why I say buy this book for everyone you love–even for everyone you just know. We all need this, and although Miranda wrote the words and Sun drew the pictures, if the book comes from you then the connection comes from you and that may be exactly what someone needs! Jonny Sun’s illustrations are simple but profound. The basic line drawings put the words into images, sometimes whimsical, sometimes moving. In a powerful combination of word and drawing (written the day of the late Anthony Bourdain’s suicide), Miranda writes in all caps: “YOU ARE LOVED AND WE LIKE HAVING YOU AROUND.” Those words are rendered into a picture of multiple hands holding onto ropes, with the knots in the ropes forming the words. It’s not Hamilton. But Hamilton is not for everyone. 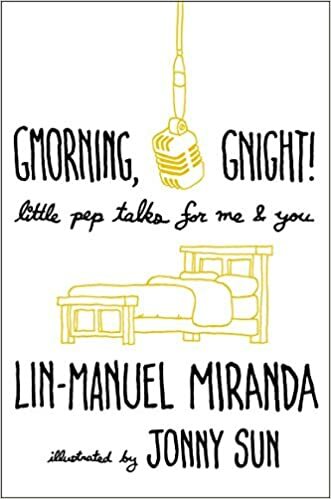 Gmorning, Gnight is a book for everyone (though parents be warned that sometimes Manuel has a “potty mouth”). Seriously, buy one for yourself. You could use the encouragement! A few years ago I found a courage I did not know I had. I began questioning things I had always assumed were true. I began exploring my assumptions, opening my mind to new approaches and no longer accepting things at face value. It was frightening, even terrifying, and I came out the other side of it a very different person in some ways. In other ways, though, I remained unchanged. I decided that I had been right about some things and wrong about others. More committed to my wife, more in love with my children, and more true to myself, I found that asking the questions gave me greater confidence in the answers. I did not find all of the answers. Some I never will. But I found that I respected the person asking the questions much more than the person who refused to face the possibility that he had been wrong. Poetry asks these brutal, core, fundamental questions in ways that other literature seldom does. That is not to say it never does: a great novel or even a short story can also ask questions. But usually stories try to give answers. Poetry asks questions. Who or what is God? Is there a God/god? What is death? What comes next? Sometimes poems will suggest answers. More often, though, they allow the reader to experience the quest of the questions. Come with me. Look with me. Ask with me. Be exposed with me. Let’s dare to examine what matters together. There are not many who ask these questions more beautifully than Tracy K. Smith. Her collection of poems Life on Mars asks many of these questions. Some of the poems were written after the death of her father–one is specifically dedicated to him. They ask cosmic questions. Sometimes the topics are literally about the cosmos: dark matter, space, life on other planets. Sometimes the topics are inspired by a curiosity for both science and song–David Bowie makes an appearance in the poems. Sometimes they are about more spiritual matters: God, the afterlife, the spirit. Often, these disparate topics are woven together beautifully and skillfully, bringing both smiles and tears, gasps of recognition and gasps of shock. Smith compares the connections between people to dark matter: invisible, immeasurable, yet a force that cannot be denied. No one really understands either. They are observable only in the sense that we see their effects. She compares God to the weather in space–is God the force we experience or the power behind that force? Smith concludes that poem with “we go chasing/After all we’re certain to lose, so alive–/Faces radiant with panic.” That reminds me of one of my favorite quotes from Annie Dillard: “It is madness to wear ladies’ straw hats and velvet hats to church; we should all be wearing crash helmets. Ushers should issue life preservers and signal flares; they should lash us to our pews. For the sleeping God may wake someday and take offense, or the waking God may draw us out to where we can never return.” Somehow, I think that Smith and Dillard are traveling along similar paths, asking questions of the divine that we should all be asking–questions that we should all be afraid both of asking and of having answered. Smith’s poem dedicated to her father is wrenching in its poignancy. Wrenching in a very different way, another painful poem is written as a series of letters from murder victims to their murderers. She also writes in reference to Abu Ghraib. Smith is willing to look deeply at the pain that we carry as individuals, as a culture, as a people, and cut into that pain in hopes of excising some of the rotting flesh that causes it. Whether that pain is simply the pain of loss of a loved one, the pain of a culture that accepts murder as a series of acceptable losses, or a culture that excuses torture when it’s done by “us,” Smith writes about it unflinchingly. Although loss will always be part of the human condition, I can only hope she has fewer opportunities to write about the darker aspects of America in the future. Sadly, I don’t think she will. Life on Mars is beautiful, moving, and compelling. 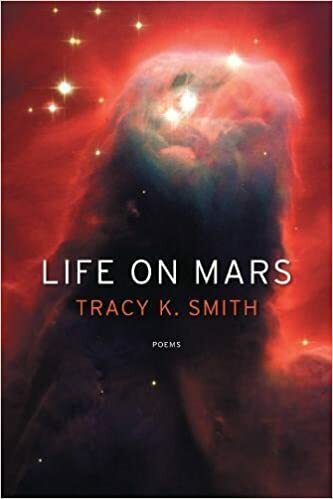 A master work that won the Pulitzer Prize when it was published, Smith has captured the pulse of what makes us human, and captured the longing we have for something greater. I do not know whether any other US Poet Laureate has ever written a poem about being caught in an elevator with a booger on his finger. One may actually be enough, especially when the poem is as good as “Shame: An Aria,” the poet is as good as Robert Hass, and the collection is as good as Sun Under Wood. Sun Under Wood is a deeply personal and intimate look into the poet’s life. Many of the poems examine what we must assume to be aspects of the writer’s own family and life. Several refer to his alcoholic mother, hospitalized against her will in hopes that treatment could help her overcome her addiction. Later poems seem to indicate that the treatment was never fully successful. Another poem refers to his brother in rehab for a drug addiction. Family secrets are bared, both boldly and timidly. His parents’ marriage in autumn, just before his brother’s birth in the same winter, discovered by the poet getting a copy of their marriage certificate and realizing his parents had lied about the year they were married. His own divorce and the pain of separation. Finding new love. Each of these personal journeys and tragedies finds their way into his poetry. Reading Robert Hass is like getting to know a new friend. His poems open doors into his own thoughts and fears and discoveries and heartaches and joys. We walk together on the beach or in the mountains or sit in a hospital and he quietly shares his life. Sometimes we cry, seeing his mother taken away. Sometimes we shudder, hearing his lover (wife? ex-wife?) threaten to stab him if he leaves her for a younger woman. Sometimes we laugh, while he wipes the snot from his finger in his pocket, using the pocket lint to hide his embarrassing unhygienic faux pas. Sometimes we blush, listening to him tell of nights with his new love. Through his words we see a life unveiled, no longer wrapped in the shrouds of dignity and mystery which we normally wear to cloak ourselves. He stands before us, naked and unashamed, and invites us to spend time looking through his eyes and listening through his ears and walking in his steps. And when we accept that invitation, we realize that our shared humanity allows us to share burdens and joys alike. Most of us, though, are not that brave. 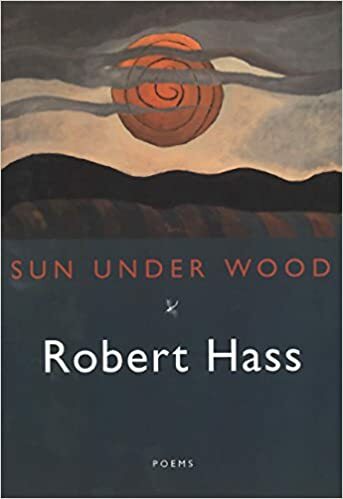 Sun Under Wood was published in 1996, while Hass was Poet Laureate. It is his fourth collection of poems. Twenty years may have passed, but these poems remain fresh and dynamic and do not seem to have aged a day. I thoroughly enjoyed them.